A new study has revealed that our planet’s protective magnetic field almost disappeared 565 million years ago. It’s something that all of us take for granted and to which we owe our very existence, yet it turns out that in the distant past, our planet was very close to losing its magnetic field entirely. This remarkable revelation comes courtesy of researchers from the University of Rochester in New York who, by analyzing rock samples from Quebec, were able to determine that the Earth’s magnetic field was ten times weaker than it is today around 565 million years ago. 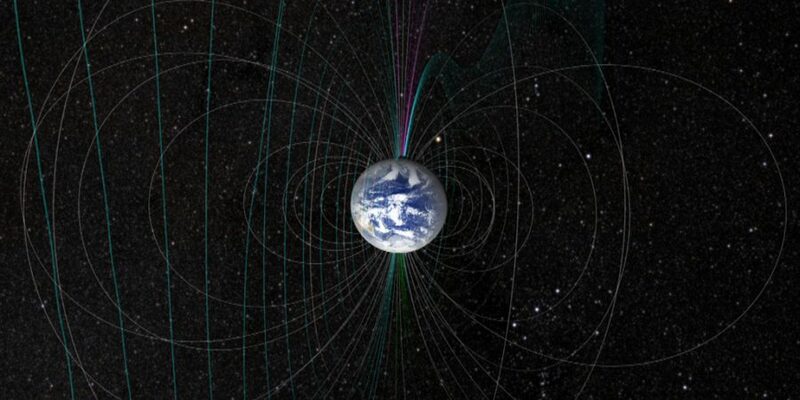 The magnetic field is produced by our planet’s core – a huge ball of molten iron surrounded by a layer of liquid metal. As this metal flows it produces electric currents which in turn produce magnetism. The researchers believe that at this particular point in time, the Earth’s magnetic field was on the verge of collapse and may have only been saved by the nucleation of the core – a process that saw lighter elements move outwards as the inner core began to solidify, strengthening the magnetic field. If the field had disappeared, the Earth would have been stripped of its atmosphere, wiping out most – if not all – life on our planet and making our own existence impossible.